If you’re changing jobs, or going for that internal promotion, it’s likely the process will involve at least one interview. If just the mention of the ‘i’-word is already starting to stress you out, you’re not alone! How many of us have sat there in an interview tongue-tied with nerves, or mentally kicked ourselves on the way home, thinking about all the important things we forgot to mention? For most jobs, the interview is THE key part of the hiring process. Your CV may be great, you might have all the experience in the world, but if you mess up the interview, that’s it. Game over. The competition is just too fierce these days. You can’t afford to make that mistake. Interviews are a major source of anxiety for many of us, but the good news is that you can prepare for them. Yes, it takes a little time and effort, but this new job is going to make a huge difference to your life, right? So why wouldn’t you do whatever it takes to give yourself the best chance of getting it? And the other piece of good news is that most of your competition won’t make the effort, and won’t do the right preparation. So not only will you be presenting yourself in the best possible light, you’ll also be differentiating yourself from the other candidates. You can usually find the competencies being sought in the job advertisement or in the job specification. A job specification is just a more detailed description of the role and its responsibilities, and usually has more information on the experience and attributes of the ‘ideal candidate’. Often you’ll receive a copy of the job specification prior to the interview. If you’re not sent one, don’t be afraid to ask! With a little thought and preparation, these “competency” questions can be a fantastic way for you to showcase your skills and experience. Grab a copy of our Ultimate Cheat Sheet for Competency Based Interviews and review the competencies on there. This should give you a clear understanding of the main competencies interviewers ask about, and guidance on what to cover in your answers. Go back to the job advert / specification and pick out the competencies they’re looking for. Most will be covered by our Cheat Sheet, but if any are not then think about your own “prompts” for each of them. What type of evidence / example would best demonstrate the competency? Start to think about your own experience, and whether there are any achievements you particularly want to highlight at interview. Then try to match these against the competencies sought. REALITY ALERT: do not try to match your example against a competency where it doesn’t fit. Your examples must be relevant! Gather the evidence you need to support your example. The more evidence you can provide (especially facts and figures) the stronger your example becomes. If it relates to a project: what was the budget? What was the timescale? How many people were involved? If it relates to influencing others: how senior were they? What was at stake? Could you measure the outcome (money saved, new business won, etc)? A “facts and figures” approach won’t be suitable for all your examples, but try to gather them for as many as you can; and where you have gaps in your knowledge, spend some time trying to fill them. Now structure your answers. Use the S-T-A-R framework to make it easy for your interviewer to understand exactly what happened and how your example relates to a particular competency. STAR stands for Situation, Task, Action, Results. Using this framework for your answers makes it easy for your interviewer to gather the information she needs. Situation: one or two sentences containing lots of facts about where you were working, when you were there, what your role was and who you reported to. Remember, your interviewer may only have scanned your CV, so setting the scene clearly is vital. Task: what was the specific objective? How was success to be measured? Keep it brief, clear and factual. Action: what did you specifically do? How did you do it? This is where you should spend the majority of your answer. Results: relate these back to the original task. Wherever possible, include quantifiable information (sales grew by £X, complaints fell by Y%, etc). Talk about the wider and longer term impact of the results, the feedback you received, and what your key learnings were. Once you’ve applied this framework to your examples you’ll be able to practice them so that your answers become fluent and succinct. Finally, when you’re answering these types of questions it’s important you use “I” not “we”. The interviewer wants to know about your personal contribution – what you did, and how you did it. Click here to get your copy of the Cheat Sheet, and get started. Take two copies of your CV with you. One copy is for the interviewer, in case they don’t have one. The other one is for you. Even with the best preparation, we’re all susceptible to the occasional brain-freeze. Having a copy of your CV available to refer to is a simple way to get things back on track if that happens, and you’ll feel better for knowing it’s there if you need it. Keep the CVs in a folder so they are easily accessible. Don’t have them out in front of you otherwise you’ll be tempted to read off it. Dress correctly, be punctual, be polite. Should be obvious, but it’s your job to make a good impression – not your interviewer’s. An interviewer comes with a neutral attitude. If anything, she’ll want you to do well and be the right candidate. Being late, talking over your interviewer, negative body language, etc can quickly erode any goodwill that exists at the start of the interview. You may not click with your interviewer at all, but she is the gatekeeper to the job you want; so if you find there is no connection or rapport, look on it as a challenge to build some! Again, this sounds like an obvious one, but mishearing or misunderstanding a question happens more often than you’d think. Your interviewer would much rather you ask her to clarify or rephrase the question rather than spending the next five minutes being confused by your irrelevant response. You don’t need to start talking as soon as a question is asked. It’s fine to take a couple of moments to consider your answer. Just ask your interviewer for a couple of moments to think about the best example to provide. Five seconds of silence can feel like a long time, but don’t worry about it – your interviewer should be comfortable with the silence. You may also want to repeat the question back to your interviewer. As well as buying you time, this tactic also helps ensure that you’ve understood the question properly. Read the signals from your interviewer. Whilst it’s important not to rush your responses, be aware that managing time can be a challenge for interviewers. Whilst it’s the responsibility of the interviewer to keep a track of time, be aware of any attempts to do this. You might notice that they start to use terms such as ‘please summarise’ or ‘briefly explain’. This is generally an indicator that your answers have not been succinct and you’re not getting to the point quickly enough. Adjust your style if this is the case. If you’ve been asked to describe an example of something that you haven’t done, don’t be tempted to make it up or exaggerate something you have done! An experienced interviewer will pick this up quickly. Instead, confidently say that you haven’t yet had an opportunity to do that, and offer to give an alternative example that illustrates a closely linked behaviour. For example, if you’re asked about a time when you led a team but you haven’t actually done so, you might offer to talk about an example related to teamwork or influencing others. 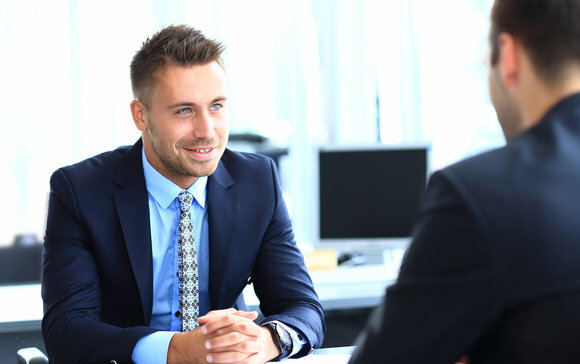 Your interviewer will either agree to this or they will move the interview on, but at least you have demonstrated honesty and integrity, as well as a willingness to provide evidence in support of a competency. Remember, this is your decision too. An interview is a two way process. Whilst you should certainly treat the process with respect by doing your research and preparing examples, you are also making a decision about the company and the people who you’ll potentially be working with. Knowing that the decision to join the company is as much yours as theirs may help you to feel more in control of the process. Starting to feel a little bit more relaxed about the whole thing? I hope so, because that’s the magic ingredient; being relaxed and confident enough to be yourself. If you’ve done your preparation you will be more likely to achieve this state of mind and the whole thing will flow better, giving you the very best chance of success. Try and enjoy the conversation so you have a good meeting whatever the outcome, knowing you did the best you could and presented your best self. Download our Ultimate Cheat Sheet and take the next step towards giving yourself the best chance of getting the job. This is an updated version of a post originally published in January 2014.